Many people ask me how to use their crystals and I wanted to offer something more than what crystals to use and simple ways to use them. I wanted to offer meditation on elevated vibes, more than holding your crystals. I wanted to offer something where you could connect with yourself and do healing on your own. My goal is to guide you virtually to do your own healing and I like to call this “virtual self healing“. I work out a self healing crystal layout that you can use on your own and with your own crystals. It’s a layout for yourself and for your own benefit. I can help you move towards what you want to achieve: feel more relaxed, get grounded, less stressed, more self appreciation and self love. You already meditate with your crystals but you want to do MORE that just meditate. Coming for a session doesn’t appeal to you because you’d like to explore healing on your OWN. You have loads of crystals but you don’t know what to do with all of them. You feel comfortable leveling up your meditation time by using your own crystals on and/or around your body. We chat about what’s going on with you, your healing goals and how you can achieve that with your crystals. I provide a self healing layout with a step-by-step guide explaining where to place your crystals on and/or around your body. I’ll provide guidelines and I won’t leave you in the dark. A pre-recorded guided meditation will be provided and the type of meditation may vary. This does NOT include one-on-one session time with me via distance healing or via a physical session. It does NOT include crystals to use and you have to use your own crystals. You do healing on yourself, on your own (or with a friend to help you place the crystals) and in your own time when YOU’RE READY. I only provide a step-by-step guide detailing where to place your crystals and provide you with a guided meditation. YOU ARE THE KEY and you are going to hold space for yourself! The cost of this service is R300 / $30 and payment can be made via EFT or via PayPal (5% handling fee for PayPal transactions). 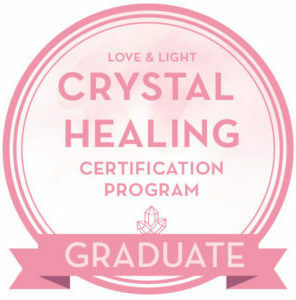 Click below if you’d like to book this service and receive your own self healing crystal layout!